Biddenham is one of the smallest villages in Bedfordshire. It lies in a loop of the River Great Ouse before it reaches Bedford some two miles away. There’s been a settlement here since before Roman times. Stone age implements were found near the church in 1861 and are now in the British Museum. Roman remains, such as pottery, coins and bits of sculpture have also been found in the area, and Saxon mirrors and scrolls now also in the British Museum. By the 7th century Biddenham was in the Kingdom of Mercia, which became Christian in AD/CE 653. The Danes held much of Bedfordshire between 835 and 1016. In 1086 after the Norman conquest an inventory was taken of everything in England and written down in what is known as the Domesday Book. In this only one manor is mentioned in Biddenham – that of Forde End (demolished in 1967). It belonged to a William Spek (Le Espec), who had obtained the manor in exchange for Toddington. From 1086 to the 20th century Biddenham was largely a farming and rural community. There were still six farms in 1900 but thereafter people had to start finding employment outside the village. Today most people living in Biddenham work in Bedford or commute to London, Milton Keynes, Cranfield, or further afield. The church, a listed grade I building, is dedicated to St James the Great and dates probably from Saxon times. The nave is considered to be of Norman origin, the tower 12th century, the lower bell tower 13th century, the chancel 14th century, the south aisle, porch and parvis 15th century, the north aisle 16th century and the vestry and church barn conversion 20th century. Four architectural periods are represented in the church, Norman, Early English, Decorated and Perpendicular. The stained glass is Victorian or 20th century. The living since 1967 has belonged to the Bishop of St Albans. Many thatched cottages remain from the 17th century, and other houses are from the 18th, 19th and 20th centuries, some of which are ‘listed’ as being of special historic or architectural interest. Some are by the eminent architects Charles Edward Mallows (1864-1915) and Mackay Hugh Baillie Scott (1865-1945). 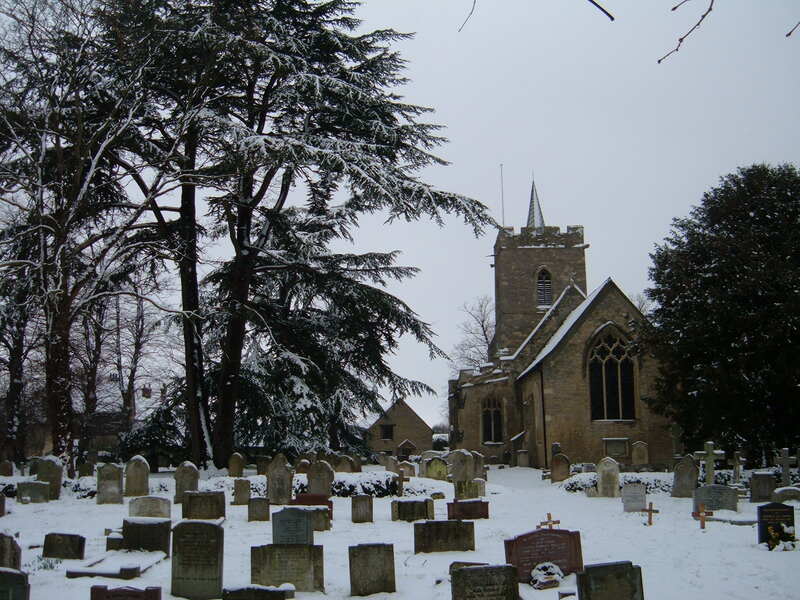 Part of the village, where there are stone houses, thatched cottages and open greens, and the section from the village green to the church, forms a conservation area, where further development and all the trees are protected. Other important trees in the village have preservation orders on them. The village pond, created in 1700 by Sir William Boteler and his wife Elizabeth as a carp pond to provide fish for the Biddenham Manor table, was restored in 1986 and is maintained as a wild life and amenity area for the village by the Friends of the Biddenham Village Pond (there is information about becoming a Friend and a membership application form to join). The pond lies on an ancient causeway, the Coffin Path, leading from the village green in Gold Lane, past the pond, to the church. Both the pond and the Coffin Path were included in an extension to the Biddenham Conservation Area in 2016. 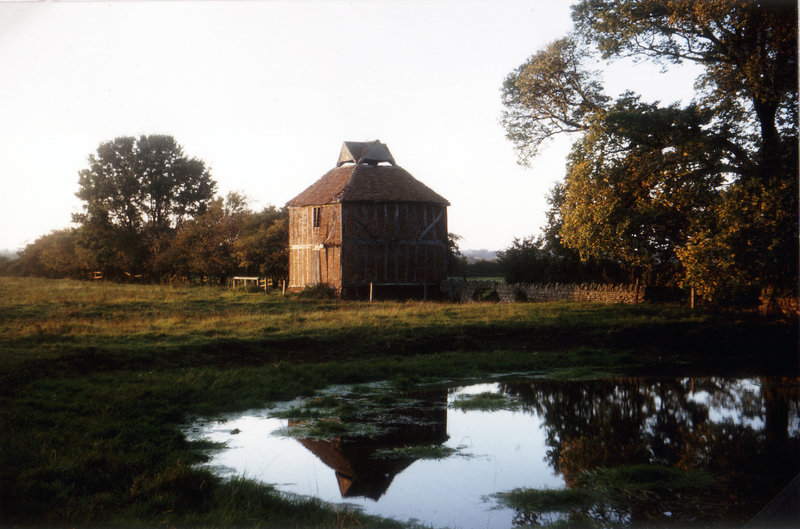 In 1706, after Sir William’s death in 1703, Elizabeth Boteler had built next to the carp pond a substantial dovecote with 461 nests to provide meat and eggs for the Manor. Although restored in 1932 it was later demolished in 1966, a great loss to the village’s heritage. Bromham Bridge, known as Biddenham Bridge until 1728, is scheduled as an ancient monument. 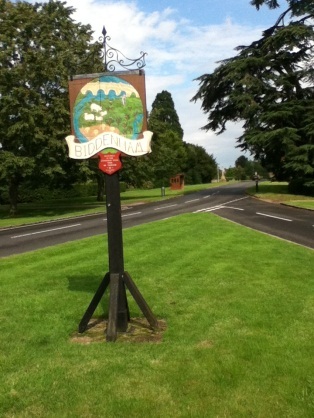 It has 22 arches in Biddenham and four in Bromham. It’s first mentioned in the 13th century and it’s probable that the long section over the flood meadows was built in the 18th century. It was a toll bridge with a chantry chapel in the middle ages. The Biddenham Heritage Trail, which includes the village pond, was opened in April 2015.